S/Sgt. Charlie A. Mitchell, son of Mr. and Mrs. Albert Mitchell, attended Frederick School; husband of the former Louise Jackson. 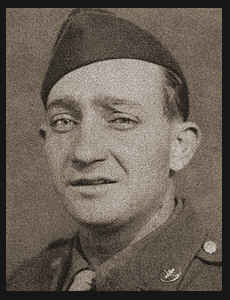 Entered Air Corps in Nov, 1939, trained in Randolpn Field, Ellington Field, Texas, Salt Lake City, Utah, Arizona and Idaho; went overseas in Oct., 1943, served in England where he is now on duty.